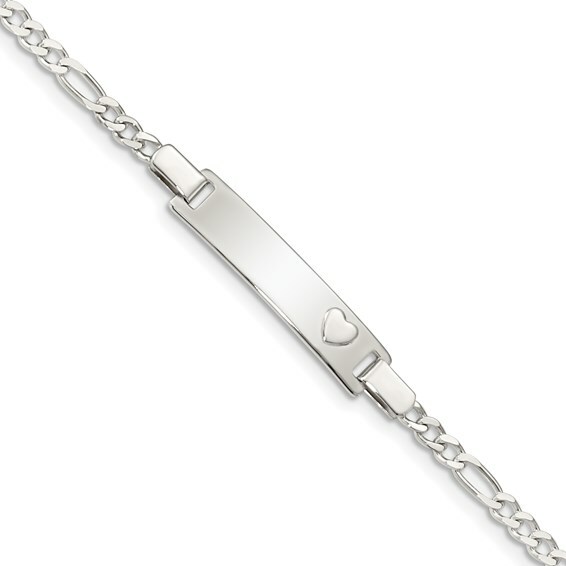 Baby ID with heart bracelet is made of sterling silver. Length: 5 1/2in. Weight: 3.48 grams. Lobster clasp.